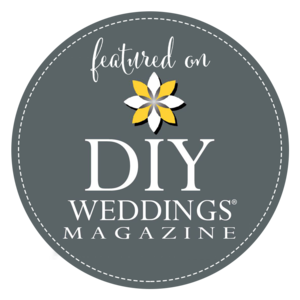 We are so beyond blessed to have the amazing clients we do as well as to have been selected for features in numerous online blogs and print magazines! Here are a handful of reviews from our current and past clients as well as some of the press who has picked up our work for publication! "It's hard to believe that it's us in these photos!! It was a beautiful day and these capture it all perfectly. You two are wonderful. Spending the happiest love-filled day being photographed by two people who so clearly are in love just makes the experience even more enjoyable. Best.Day.Ever!!!" "I have absolutely fallen in love with these photos!!! Our photographer Katerina Foster of Katerina Marie Photography was not only amazing at taking photos, she helped with my makeup when my bridesmaids needed to get ready. She had great photo ideas, she was always around wherever I turned around, she was soo kind and fun to be around and she took my ideas at the spur of the moment and ran with them and made them incredible!! Her photos are incredible and dreamy, and she brings the whimsical feel to the photos that I was hoping and imaging when I was planing my wedding. Thank you soooooo much Katerina!!!! If anyone is looking for a photographer I highly recommend her!" "Kat and her husband were AMAZING! I loved the both of them from day one on the phone. Their personable personalities were bubbly, outgoing, and so creative! They captured our wedding so beautifully! 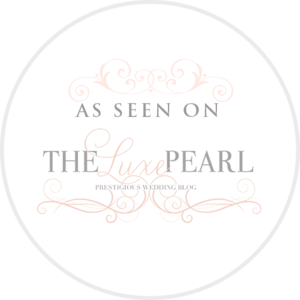 Not to mention they were featured in Midwest Brides, The Luxe Pearl and DIY Weddings Magazine from our wedding!!! That says it all...One thing is that They were so personable to the point where I thought I had known them my whole life!!! They are a one of a kind team who knows what they are doing! I had tears down my face when I saw our previews!!!" "We are VERY happy with our photos! I LOVE that I get to relive one of the most memorable moments in our life through your lens. I can't even choose which one is my favorite..there are just TOO many!" "I have to say, words can't even describe how well you captured our love story and our fairytale wedding. Katerina is a very fun, witty, outgoing, yet very organized, serious and passionate about what she does. Some people think pictures are just pictures, you can tell that the meaning of photography to her is capturing lifes moments that may fade as a profound memory but everytime you look at the picture that captured that moment you are taken back to that very second and you can remember the way you felt and you remember the little things like maybe what your new husband whispering in your ear how lucky he is. What I will always remember thinking about meeting Katerina and Mike for the first time was, "man, Chandler and I have no idea who these people are, what if they think we're just some dumb kids who are in love?" "or what if they're some old people who won't understand my weirdness?" I must say, they were neither of these things. I never thought on my wedding day, I would be singing Fergalicious and dancing as we did so. And I never thought that our husbands would want to play fifa and or soccer together, but those things happened. I'm glad they did, and for all of this Chandler and I are so grateful that we were able to work something out and make our special day complete, thank you so much for capturing and being apart of our most beautiful memories."